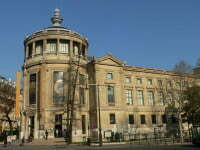 The Musée Grévin in Paris is one of the oldest waxwork museums in Europe. It was founded in 1882 by Arthur Meyer, a journalist for Le Gaulois, and named for its first artistic director, caricaturist Alfred Grévin. Featuring a cupola, a hall of columns and a great marble staircase, the original and sumptuous decor of the Grévin Museum building is still the same as the one designed in 1882, with rococo styles harmonizing perfectly with the rosewood and marble. Children will like the museum and be excited by its deforming mirrors of the Hall of Mirrors (Palais des Mirages), where a sound and light show takes place. 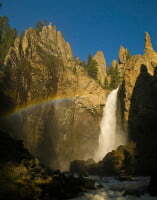 It was reopened in 2006 with new special effects. The museum has also a discovery tour that shows how wax figures are made and a theater for magic shows. Address: 10, Boulevard Montmartre – 75009 Paris Opening Hours: Every day, from 10.00 am to 6.30 pm through Monday to Friday, and from 10.00 am to 07.00 pm on Saturdays and Sundays.